 This sermon, “Belief, Knowledge, and Truth,” was originally delivered to the congregation of Harmony, a Unitarian Universalist Community, on February 5, 2017. It is published here with permission from the writer, with all rights reserved. So the idea for this sermon came about from group discussions here after other sermons. 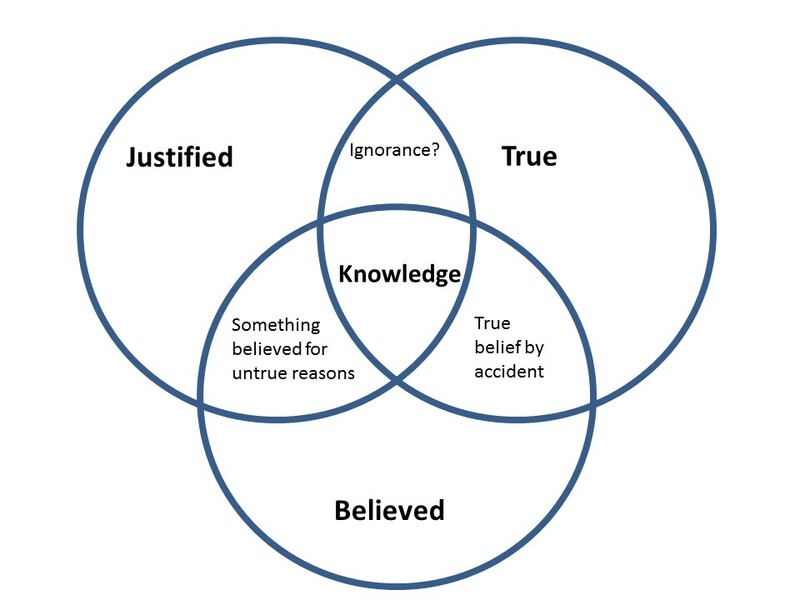 I had made the comment that “knowledge is a subset of belief,” and was asked to explain that in more depth. This is my answer to that request, and some thoughts on epistemology in general. So, what does it mean to “know” something? Well, we have to believe something first. You can believe that it’s raining outside. If that’s actually the case, then maybe you “know” that it’s raining outside. We can see already that knowledge, then, is a subset of belief. A belief also has to be justified to be knowledge. You could be accidentally right about that rain, without ever having evidence to back it up. 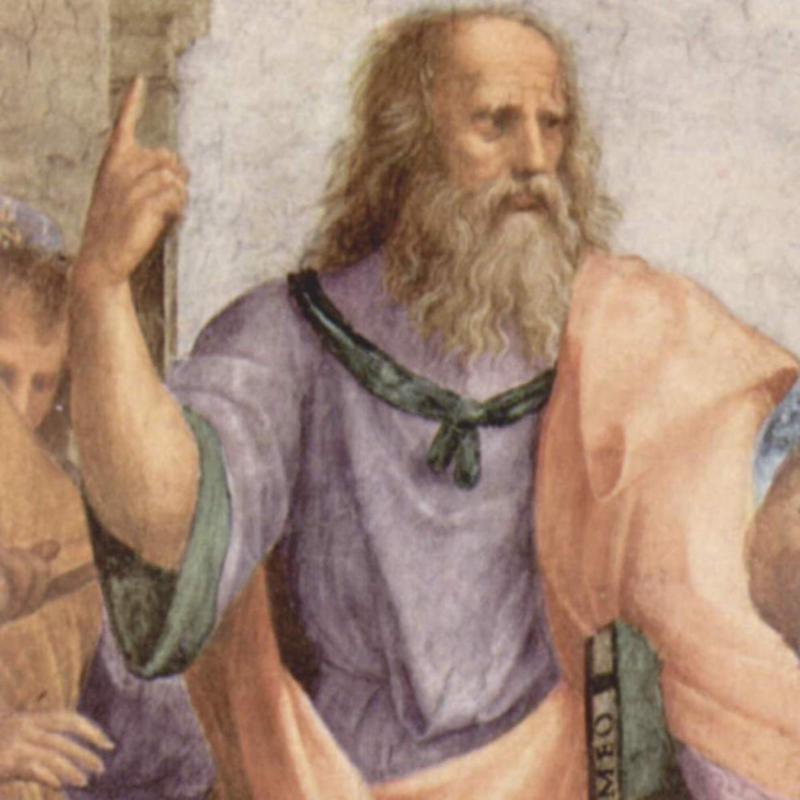 Plato’s definition of knowledge as “justified true belief” is the definition that we mostly still use today. Let me expound on this for a minute. For anything to be knowledge, it has to be believed. In other words, you can’t know anything that you don’t believe. With me so far? To be knowledge, what you believe also has to be the actual case–it has to be true. We can say “John believes it’s raining outside, but he isn’t sure.” We can’t say “John knows it’s raining outside, but he isn’t sure.” It has to be actually raining to really know it’s raining. Knowledge has to be justified. Maybe John is looking out a window and sees that it is raining. Hence he is justified in his true belief that it is raining. He knows it is raining. 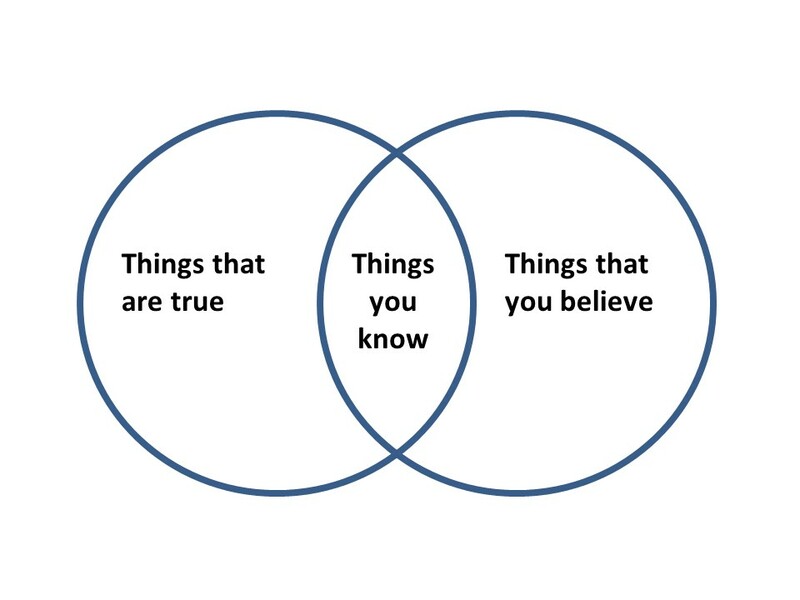 There are things you believe that aren’t true. Some are true only by accident. And beliefs can be justified and believed, but not be true–maybe the justification is bad. John is actually seeing a sprinkler out that window. Something can also be true and justified as such, but not believed. Maybe they’re only not believed because you’re ignorant of the justification, or mistaken about the truth. There are philosophical arguments about each of these three spheres, but here are couple of the big ones. “How,” someone might argue, “do we know we are not brains in vats, experiencing only what’s fed to us by the Matrix?” What if our experiences don’t reflect reality? This is the problem of “hard solipsism,” and I’m not sure there’s any great solution to it. I’m content to begin with the idea that you and I actually exist and experience some part of reality. Second, what counts as justification? This is a bigger problem, I think. How do we determine what is true? We will come back to that in a moment. To reference Plato another way, if you claim to know something, you are making a claim that your belief is true and justified. A related question that’s always put in these terms is the question of what it means to be “agnostic.” You hear the term used often to mean “undecided,” but that isn’t exactly it. 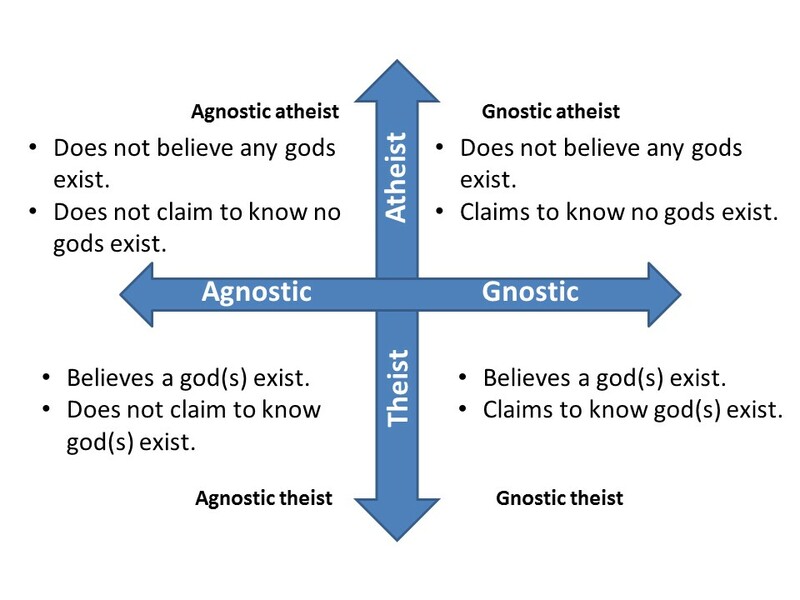 For any claim, you can be agnostic or its antonym, gnostic. Let’s look at theism for an example, the claim that one or more gods exist. The theist says “I believe one or more gods exist” and the atheist does not. Note the atheist does not necessarily say “one or more gods do not exist.” More on that in a second. We can draw a chart like this with gnosticism on one axis and theism on the other. A person can be a theist (“a god exists”) with or without claiming to know that a god exists. He can be a gnostic theist or agnostic theist. So there’s another important term to define. What do I mean by “burden of proof”? The burden of proof is the obligation to prove one’s assertion. If a person is making as assertion (e.g., “ghosts exist”), they have an obligation to prove it. Conversely, if someone is making no assertion, there is naturally no burden of proof. In this example, to be clear, if your answer to the claim “a god exists” is anything other than “yes”, you are an atheist. Answering “no” or “I don’t know” simply puts you somewhere on the top side of this chart. If I’m not convinced something is true, does that mean I’m convinced it’s false? NO. Someone is either guilty or innocent of a crime. If I’m not convinced he’s guilty, does that mean he’s innocent? NO. I have a jar of gumballs. The number of gumballs is either even, or it’s odd. If I don’t believe it’s even, does that mean I believe it’s odd? Again, no. There’s a third alternative here that’s so often ignored, and it’s the DEFAULT alternative: I don’t know. Unless a claim has met its burden of proof, there’s no justification for believing it. Coming back to Plato, how do we justify a proposition and meet the burden of proof? How do we determine what is true? There are several methods that purport to lead to truth, so let’s take a look at them. How do we justify any claim as true or not? We need some sort of method for determining what is true. Do we always just flip a coin to decide if something is true or not? No, we somehow convince ourselves. 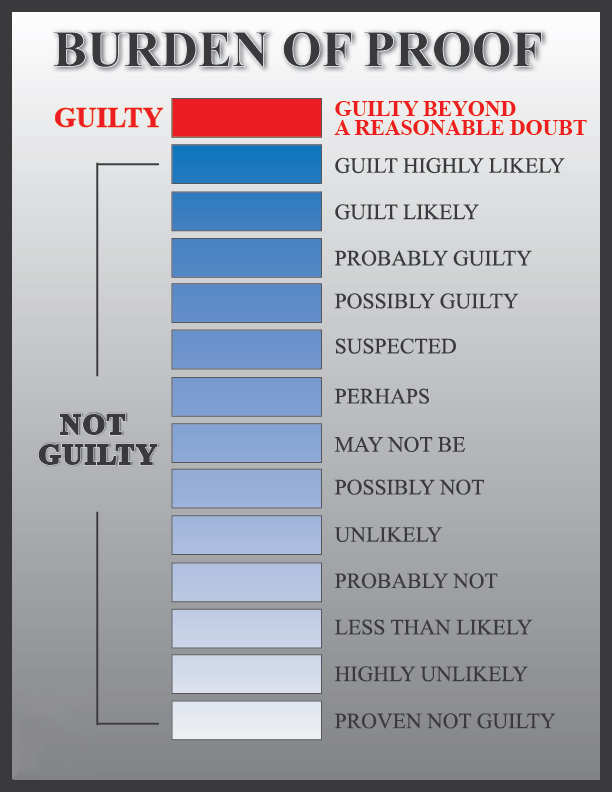 Here are, in my mind, the methods most commonly proposed for determining the truth of a claim. How is common sense at guiding us to truth? When I look in the distance, the horizon is flat. It makes sense that the Earth is flat. The sun was there last night, and over there this morning. It makes sense that the sun moves. Obviously time doesn’t care how fast I’m traveling and always ticks at the same speed. Ignaz Semmelweis was a Hungarian physician and obstetrician. In 1847, he suggested that washing hands prevented infection, and even demonstrated that the practice reduced infant mortality from infections from 35% to below 1%. But how could hand washing curb the spread of disease? That’s just silly. Everyone knows disease is caused by bad humors and divine judgement. His work was so heavily criticized and ridiculed that he had a mental breakdown. He was put in an asylum and beaten, resulting in his death in 1865. Semmelweis had gotten most of the way to Germ Theory 10 years before Pasteur. So much for common sense. Interestingly, Jesus spoke on just this topic of hand washing. Specifically, he told his followers to skip it (both in Luke 11:38 and Matthew 15:2). Which brings us to the next potential pathway to truth, revelation. This is the idea that a god or gods has made some hidden knowledge available to man. For example, he wrote a book. I think the problems here are obvious. Holy books don’t change. That’s often claimed as a positive, but I disagree. We learn new things. Situations change. What did any god have to say about cell phones? Why not tell people about germs? Think of all the deaths that would have saved over 1,000+ years. Worse, holy books often contain sections on who to hate and how to hate them. Thankfully those are often ignored. But how do we pick what to ignore? If we ignore or explain away some parts, what are we using to make those decisions? Obviously we are using something besides the book to rationalize those decisions. Revelation as a path to truth is therefore self-defeating. 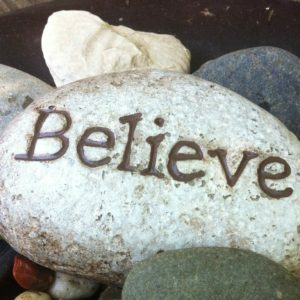 That is, belief without evidence (or in spite of evidence to the contrary). For brevity, I’ll point out what I consider just the largest problem with this: Is there any claim that I couldn’t make on the basis of faith? If the Muslim and the Christian (for example) come to opposite opinions on what is true, and both have arrived at their positions by faith, what are we to do? How can you possibly reconcile two contradictory claims that have faith as their basis? First, let’s ignore that the definition I gave is the actual the definition of faith in the Bible; maybe you’re coming from a different background. 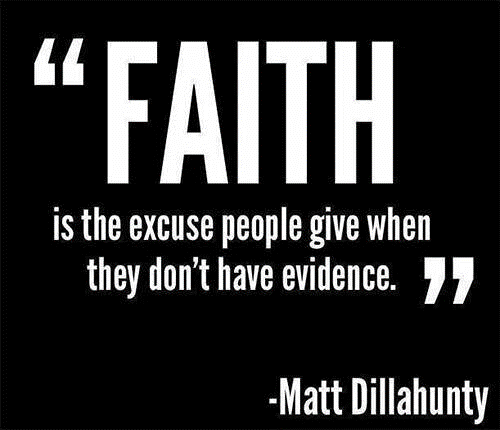 People can mean different things when they say “faith.” If someone says “I have faith in my wife,” I’d say “No, you have evidence that your wife is trustworthy.” For example, if you had evidence to the contrary, maybe you wouldn’t have this type of “faith” in her. It’s a similar type of “faith” one has that the sun will rise. Evidence backs it up. Inductive reasoning insists on it. 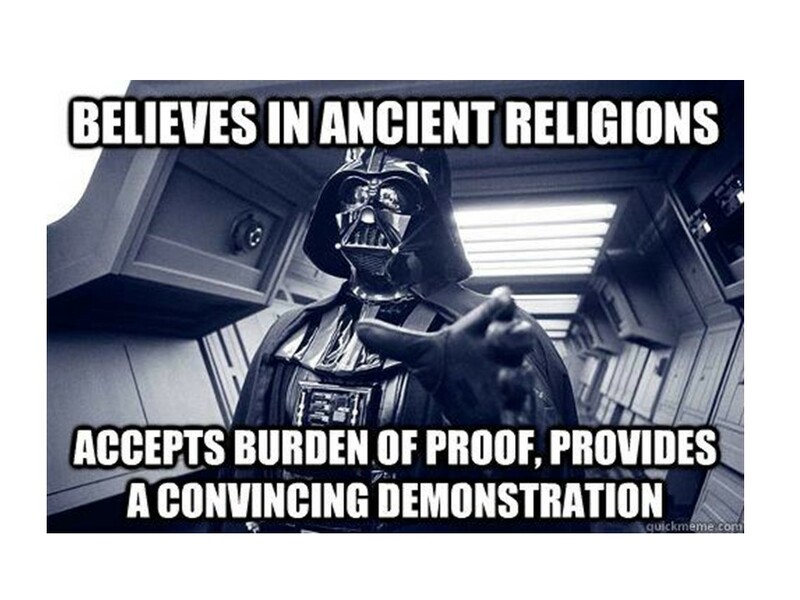 Good guy Darth Vader had the right idea. Reason is a way to determine what is true and what isn’t. Science is the toolkit of reasoning. To briefly illustrate… first we make an observation. We devise an experiment to test that hypothesis. Then we carry out the experiment and see if we need to revise our hypothesis. Philosophers, particularly Nietzsche, have of course weighed in on the utility of science for arriving at truth. For the sake of balance, here are Nietzsche’s objections. In 3 minutes. Presented by Mega Man. So in conclusion, I’d just like to ask everyone to, in as much as you’re able, think about what you believe and why. Not just about philosophical matters, but in your everyday life. Understand “burden of proof.” The time to believe something is when you have sufficient evidence, and not before.